Earmuffs used with skin-friendly leather material, and super soft Over-ear pads that are more comfortable for long time wear. Q1: No sound after connecting the headphone? 1)Check whether the volume of the audio source device (such as PC, mobile phone or MP3) and the headphone are turned on. 2)Check whether the audio interface of the player is properly functioning. This headphone only supports 3.5mm audio interface, please try other suitable audio players (such as mobile phone). 3)If connect with computer, please check if your computer is set to forbid audio output and check whether you inserted headphone jack and microphone interface inversely. Q2: It doesn’t work after connecting microphone? 1)There’s a microphone mark printed on microphone plug, please make sure you choose a correct plug. Then check whether the microphone jack of computer is properly functioning. Try another microphone jack or computer and check again. 2)Find out whether it doesn’t work only in some or in universal chatting software. If it doesn’t work only in the chatting video software, such as QQ, please sets microphone as voice input device. 3)Make sure whether you choose a wrong audio setting or has disabled microphone usage, please right-click the trumpet icon on the bottom right corner of the screen and choose “Record device”; Right-click the blank area and choose “Display disabled devices”. If microphone is discontinued, right-click [Microphone] and choose [Enabled]. Q3: It is not compatible with PS4? This headphone only supports 3.5mm audio interface and PS4 has not this kind of interface. So the headphone is not suitable for PS4. If you use the audio adapter, please make sure whether it is compatible with the adapter. Amazing headphones!! Incredible sound, well working mic, couldn't have gotten a better deal! Love it. The padding for the ears is very comfortable and the mic is good quality. They are also very durable. I love this headset. This feels and sounds like one that is 3 x more expensive. I love the sound volume control on the side. 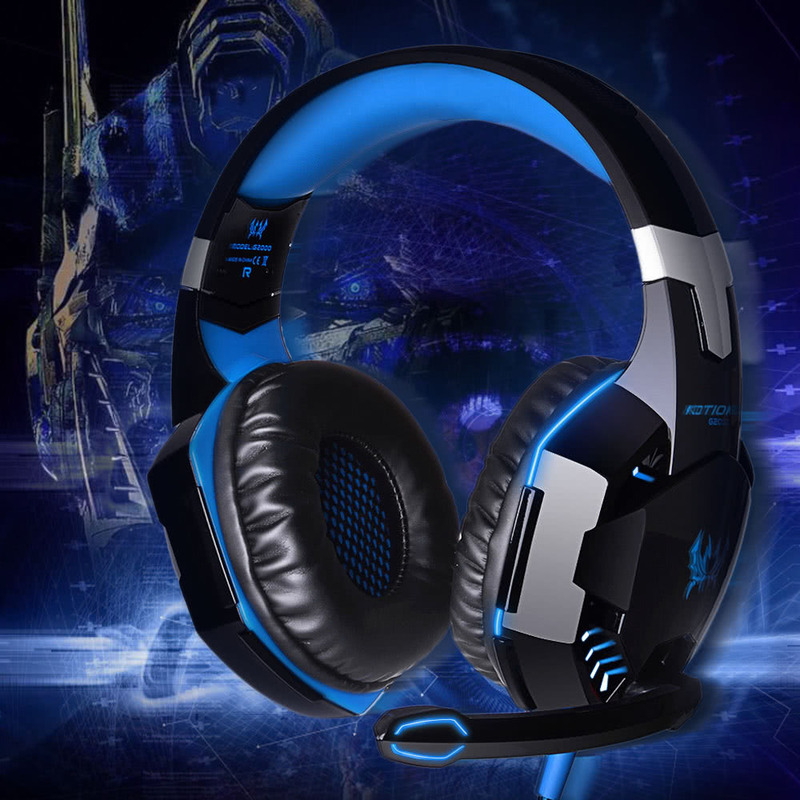 Great sound quality and very comfortable to wear for gaming . The headphones are a little bigger than I expected and the mic is a little farther away from my face than I like but it all works. The sound quality is great, you can't hear anything around once they are on and the mic still picks up everything I say. Very good quality and sound. Love them. These are amazing, my son absolutely loves these , going to have to get some for my daughter now. The sound quality is terrific. Just don't wear them when it is warm, your ears will be pretty hot after use, other than that, great item!